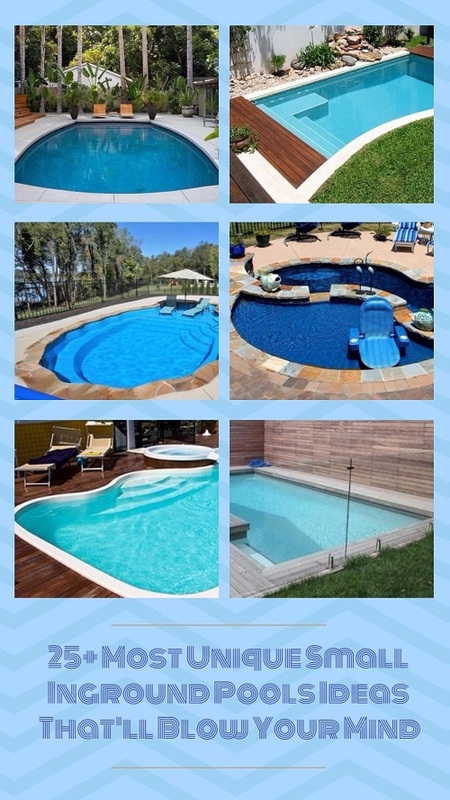 Before you decide to install the swimming pool, actually, you should prepare the things below to complete you swimming pool installation. The first step, make sure the location to build the swimming pool have been decided. If the location is small surrounded by trees, certainly you have to cut down the trees. Because to install the swimming pool need the easy access to allow the truck, large equipment even the concrete truck for minimum 10 feet wide opening. Then, prepare the drainage site that is should be away from the swimming pool. 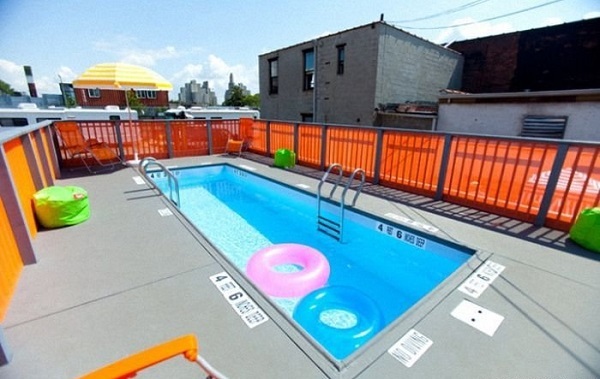 Furthermore, the pool area must be in the sunny area to get the sunlight directly. 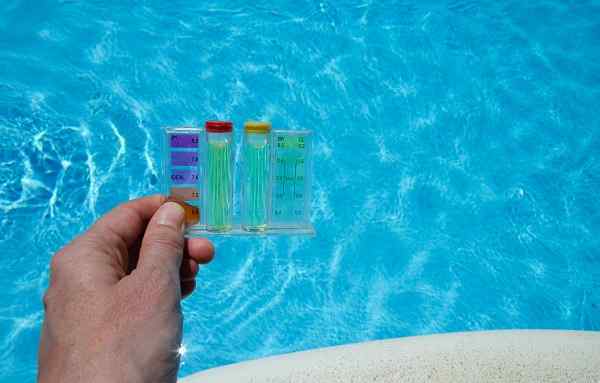 Then, prepare to do initial layout of the pool with marking the line to give parameter for your pool. Do not forget to mark the interior and exterior pool and the site for excavation. Now, we are going to dig the ground using the excavator or shovel based on the dimensions of your swimming pool. The third step you have to do is setting the panel shelf and shallow end excavation. Actually, the panel shelf should be 42 inches below the top of the pool. Make sure that you do not dig the ground too deep because the panel needs the undisturbed ground. Start setting the wall panels on the side of a pool. Need to know that the wall panels is made from the thermoplastic material and completed by non-corrosive with a lifetime warranty. 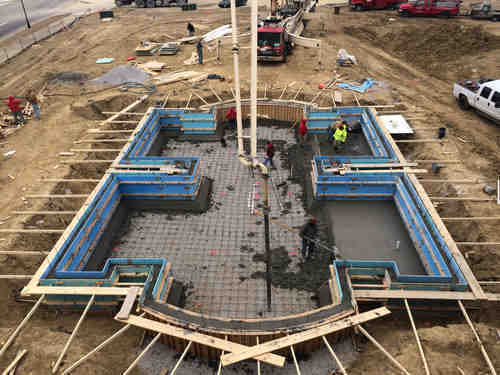 For setting it, you can put it two feet over dig and put a 2 1/2″ coping piece on the 42″ high wall panels then run all the way around the pool. Then, when the shallow end the panel shelf level completed, we have to measure to decide the right pool location. Then, set the new pins in each corner by running the string lines and mark it using the marker paint to give the highlight pool perimeter. That also gives the better look at the panel shelf zone. Then, we mark the pool breakpoint and the deep end before we start more digging. Now, we start the deep end excavation based on the deepest of the pool, so, you must be careful not to disturb on the panel shelf area. After you get the depth, now, we begin to create the slope up to the shallow end. Then, place the skimmer into the wall panels part and drive it using the screws. Actually, the skimmer is the place where the most floating debris like leaves can be trapped and removed. Then, you can put it along wall panel of the pool. This step is for installing the wall panels. Actually, there are 3 elements to each seam, there are left side, right side and the brace to go back behind. To assemble the wall panel, you should keep them together, then, set into the place and fasten to the wall, take off the steak and fit down in the slot and put two pins to drive in into the middle place. Then, hold the bottom of the steak to ensure the wall panels not moving. Continue this step until the wall panels installed around the swimming pool. After the wall panels installed, then, check the level of the each one. It is better to make minor grading if you need. Now, we are going to install the aluminum coping as the top upmost part of the pool. Then, install the stairway in the place part with easy access to the pool. Then, check the diagonal measurement across the pool at the top and the bottom of the wall panels. Make sure you have to check all straight wall for horizontal alignment. 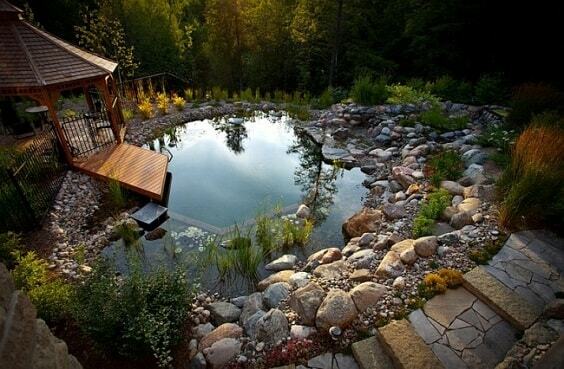 Now, make the form on the base of the pool about 1-4 lumber and the dimensions are six by eight. It purposes to hold the main drain into the place. Then, fill the form with the concrete and mix it smoothly. Continue the step with starting to pour the footer and make sure the concrete should touch the underside of the first thread for proper support. Then, install the plumbing by making hold on the wall panels. Then, begin to concrete the swimming base with the concrete. Before doing this, run the strings from the bottom of the wall panels down to the finished grade height of the topper for the shallow end. Smooth the ground surface. Then, place the sand and the cement mixture for the base. After the base is filled with the mixture, now, your task to smooth the surface using the pooled trial that you can buy in some markets. 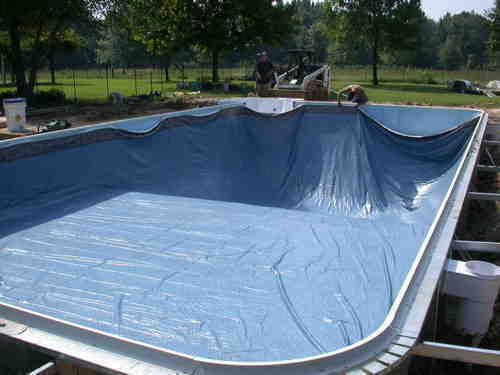 We begin to applying the swimming pool liner. Before we install the pool liner, there are a few things we need to do such as cleaning the pool bottom from any stones stick and the footprints. You have to make sure that the sidewalls are free of any dirt or abrasive material. Then, use the duct tape to seal all the wall panel joints and seems to aid in the vacuum process. Now, starting to apply the swimming pool liner carefully. 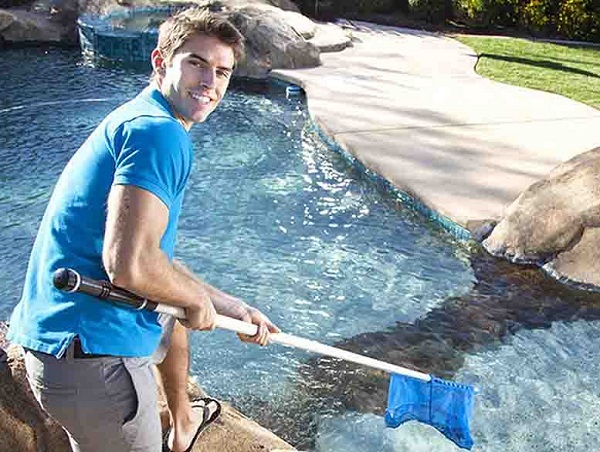 Then, take up the air under the pool liner using the vacuum through the skimmer. As the suction starts to pull the liner down, we continue to adjust the fit by pulling the excess material on the floor toward the base. But, if we don’t get all the wrinkles out, we can shut the vacuum off reposition in the liner in the pool turn the vacuum back on and start the process all over again. To install the main drain, you just locate the screw holes at the top of the main drain under the liner with the gasket, then, screw the face place to the main drain. We use the razor knife carefully to cut the liner material inside the main drain frame and install the main drain cover. The last step is filling the water with the low pressure using the garden hose. Continue with using the higher pressure source from the water truck or hydrant. Then, design your swimming pool with completing the furniture around the pool such as sofa, chair, pool umbrella and small table bar. 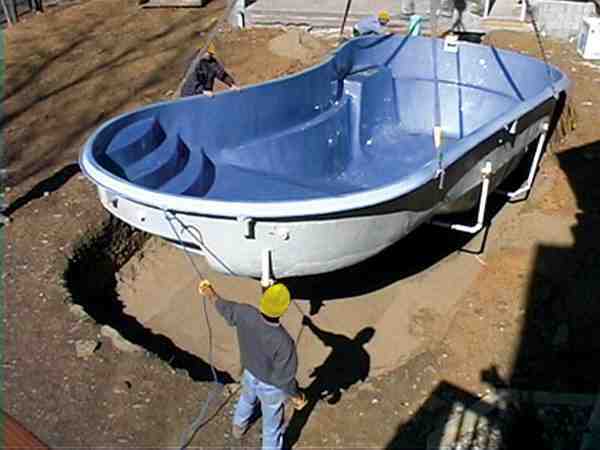 Congratulations for your own swimming pool. Now, you are going to swim every time you love. 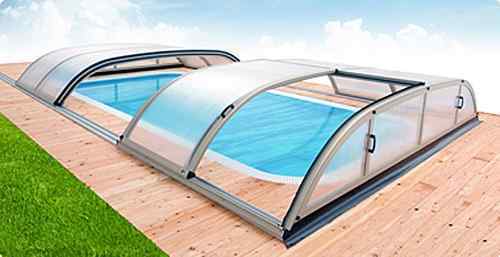 Furthermore, we provide the video from Pool Warehouse to get more detail to do the Swimming Pool Installation. Let’s check it out!